Although it is located in the heart of Cajun Country Iberia Parish actually owes its name and existence to Spain. In 1779 Spanish settlers from the Iberian Peninsula traveled up Bayou Teche and settled near a lake. They called their new home Nueva Iberia in honor of their homeland. Today New Iberia and surrounding Iberia Parish is a treasure trove of history, culture, food and music.Here you will find great roads to ride, fascinating destinations, incredible food and friendly people — all the things that make for a fun and exciting motorcycle destination.One place you must visit when coming to Iberia Parish is Avery Island, home of Tabasco Sauce. Although you have to cross a bridge to get to it, Avery Island isn’t technically an Island at all. It is actually a dome of land pushed up by a huge deposit of salt below it. There are a number of these Salt Dome Islands in Iberia Parish and Avery Island is perhaps the most famous. You can tour the factory where Tabasco is made and the surrounding Jungle Gardens, a beautiful bird sanctuary and botanical gardens located on the island. Not far from Avery Island is another Salt Dome. Jefferson Island bears the name of 19th century stage actor Joseph Jefferson who was famous for playing Rip Van Winkle on stage and not surprisingly it is home to Rip Van Winkle Gardens. You can tour the gardens, visit the Joseph Jefferson mansion which was built in 1870 and eat at Café Jefferson while taking in the beautiful view of Lake Pignuer. The lake by the way literally vanished one day when an oil drilling rig punched a hole in the Salt Dome below. Within minutes the entire lake drained into the salt mine below, swallowing up everything on it and around it. Miraculously there were no injuries, but the disaster swallowed up a portion of the gardens and even threatened the Mansion for a time. No trip to Iberia Parish would be complete without a visit to downtown New Iberia… there are wonderful shops and restaurants located on Main Street. One popular hangout is Victor’s Cafeteria. Novelist James Lee Burk’s is from New Iberia and his popular Detective Dave Robichaux series often features references to Victor’s. Just down the street is the magnificent Shadows on the Teche – a historic Mansion and Garden owned and operated by the National Trust for Historic Preservation. No visit to Iberia Parish would be complete without a stop at the Konrico Rice Mill just a few minutes from downtown. Rice is an important agriculture product in Iberia Parish. Here you can tour a working Rice and shop in the Konrico Store. Where you will find dozens of locally made products, including an entire line of gluten-free mixes and ready to prepare meals. New Iberia is also home to the annual Gumbo festival… where you can experience all that Iberia Parish has to offer in one fun packed weekend. 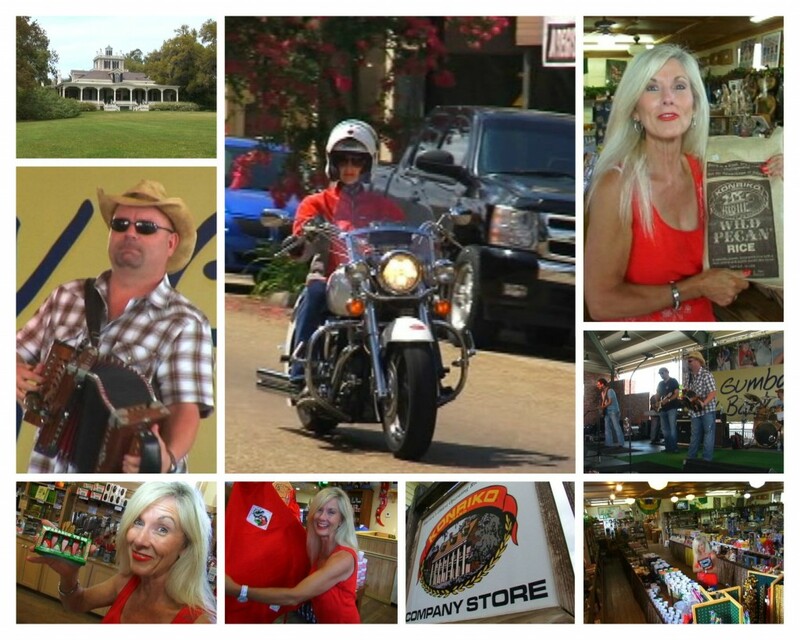 Come for a day and you may just stay for a week… That is one of the wonderful things about Iberia Parish — Another great place to visit when you chose to ride Louisiana….